Las Posadas officially begin exactly one week from today. 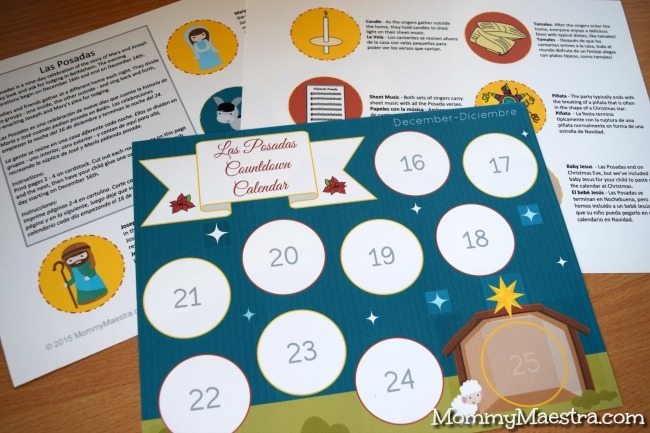 I've already printed up my Las Posadas Countdown Calendar and have it ready to go. If you are looking for resources to celebrate this holiday tradition, MommyMaestra has got you covered!! Below are my favorite crafts, printables, books, and more. 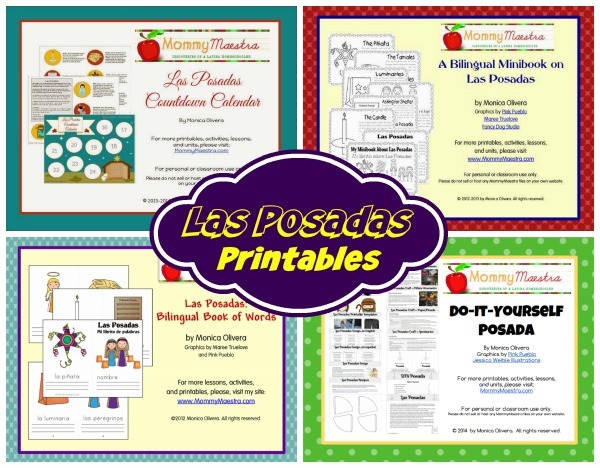 By far this is the most comprehensive list of Las Posadas lesson plans, recipes, videos and more. Here are four books about Las Posadas. My friend, Maura, from The Other Side of the Tortilla, shared this lovely video of her family's posada celebration. Are you looking for music for your event? Here are my Three Favorite Versions of the Las Posadas Song that you can find and download from Amazon. 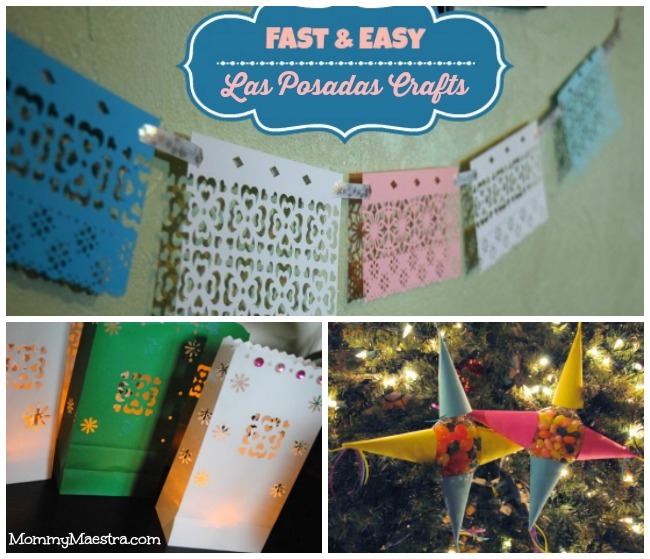 A couple of years ago, I made this tutorial for Fast & Easy Papel Picado Banner. We can actually make his banner for any festive occasion, but especially during Las Posadas. Also, one of my most popular posts remains this tutorial for creating your own luminarias. Older children may enjoy making these piñata star ornaments filled with goodies. In my store, you'll find the following printables that you can immediately download upon purchasing. Also, new this year is the Las Posadas 1-Page Reading Passage.